South Carolina swimming and diving tallied 11 spots in event A-finals on the final day of the Virginia Tech 'Technotational' for a total of 29 A-final appearances in the three-day competition. Two Gamecock men took home their second first-place finishes at the meet on the final day of competition. Brandonn Almeida took home the day's first event win for South Carolina with first in the 1650 freestyle with a time of 15:02.90. He previously won the men's 400 IM in the day two with a time of 3:51.58. Jack Smith also recorded his second win of the competition with a first-place finish in the men's 200 breaststroke A-final with a time of 1:59.29. The junior earned his first win of the competition on day one in the 200 IM A-final with a time of 1:48.77. Freshman midfielder Lauren Chang netted a goal in the 95th minute to give No. 3 South Carolina women’s soccer a dramatic 1-0 victory over No. 21 Tennessee in Sunday’s top-25 battle at Stone Stadium. The Gamecocks (9-1-0, 3-0-0 SEC) pushed their winning streak to seven games and remained atop the SEC standings with the win, while the Volunteers (9-1-1, 1-1-1 SEC) suffered their first loss of the season in the setback. A late second half comeback fell just shy on Saturday afternoon, as South Carolina (3-3-0, 0-2-0 C-USA) was defeated 2-1 by Marshall (5-2-0, 1-1-0 C-USA) at Veterans Memorial Soccer Complex. Team captain Peyton Ericson headed the game-tying shot on goal with 12 seconds left in regulation, but it was saved by the Thundering Herd’s Nate Himes. No. 3/4 South Carolina topped No. 7/7 Mississippi State 67-55 to capture the program’s first NCAA Championship Sunday night at the American Airlines Center. Juniors A’ja Wilson and Allisha Gray both notched double-doubles to deliver the 2017 title to the Gamecocks, who broke through following their second Final Four appearance in three years. Carolina ends its historic run with a final mark of 33-4, while the Bulldogs closed their 2016-17 campaign at 34-5. Gamecocks in FINAL FOUR ! South Carolina's special March run continued on Sunday afternoon at Madison Square Garden as the Gamecocks (26-10) punched their ticket to the 2017 Final Four with a 77-70 win over Florida (27-9). The victory broke the single-season program record for wins, as senior Sindarius Thornwell carried the team with a game-high 26 points, seven rebounds and two steals in 36 minutes. No. 8 South Carolina women’s soccer extended its winning streak to double-digits after downing Kentucky 3-0 at Stone Stadium Sunday behind goals from seniors Sophie Groff and Kaleigh Kurtz and junior Lindsey Lane. Junior forward Savannah McCaskill added a pair of assists for the Gamecocks (10-0-1-, 4-0-0 SEC), who remain as one of four teams unbeaten on the year. 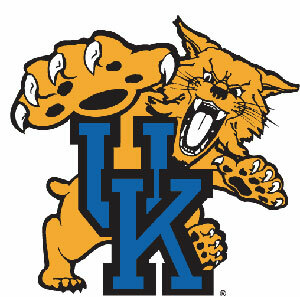 Kentucky fell to 4-5-2 overall and 0-3-1 in conference action with the loss. The NCAA East Regional preliminary round came to a close Saturday, and the Carolina track and field team qualified for nationals in four different events. The men's 4x1 and 4x4 relay teams earned a bid, as did a pair of women's high jumpers. In all, the Gamecocks will send four individuals and two relay teams to the national meet in Oregon. (It is a) good day for the Gamecocks. We really believe we have an outstanding group of players that have signed with us today. COLUMBIA, S.C. –With six Gamecocks in double figures for the second game in a row, No. 7/8 South Carolina shot past Missouri 78-62 Sunday afternoon at Colonial Life Arena. The Gamecocks (20-2, 8-1 SEC) reached the 20-win plateau in front of a season-high crowd of 7,828, the sixth-best women’s basketball crowd in Colonial Life Arena history. No. 1 South Carolina opened the spring portion of its schedule on Saturday with a 12-8 win over No. 4 New Mexico State at the New Mexico State Equestrian Center. South Carolina improves to 7-2 overall, while the Aggies fall to 7-3. South Carolina showed off its youth at the Gamecock Open #1 on Saturday at the USC Indoor Complex as underclassmen posted eight of the Gamecocks’ 13 wins. The competition, the first of the season for South Carolina, included teams from Bethune Cookman, North Greenville, Claflin and Benedict in addition to other running clubs and unattached competitors. Behind five touchdowns from senior quarterback Connor Shaw, No. 8/8 South Carolina (11-2) claimed a 34-24 victory over No. 19/19 Wisconsin (9-4) in the 2014 Capital One Bowl. CHARLOTTE, N.C. – Junior forward Aleighsa Welch scored all 18 of her points in the second half to push No. 12/10 South Carolina past Charlotte 76-61 Sunday afternoon at Halton Arena. COLUMBIA, S.C. – Behind career efforts from junior forward Aleighsa Welch and sophomore forward Asia Dozier, No. 21/17 South Carolina (3-0) defeated College of Charleston (1-2) 81-54 in non-conference action on Thursday night at Colonial Life Arena. Dozier led the Gamecocks with a career-high 16 points. Welch paced the rebounding effort, hauling in a career-high 17 boards. IRVING, Texas – Four South Carolina men’s soccer players garnered All-Conference USA honors, the conference office announced today. Junior defender Mahamoudou Kaba was selected to the All-Conference USA First Team and his fellow center back junior Braeden Troyer earned a second-team slot. Midfielder Kurtis Turner and goalkeeper Marco Velez earned spots on the league’s all-freshman team. COLUMBIA, S.C. - The Gamecock defense posted five turnovers to help South Carolina (7-2, 5-2 SEC) claim a 34-16 victory over Mississippi State (4-4, 1-3 SEC) in front of 82,111 fans at Williams-Brice Stadium on Saturday afternoon. BIRMIGHAM, Ala. - With goals from sophomore midfielder Jeffrey Torda and junior forward Asa Kryst in the 85th minute, South Carolina (7-5-5, 4-1-3 C-USA) upset No. 10 UAB (11-4-1, 4-3-1 C-USA) 4-3 in a back-and-forth thriller at West Campus Field. Freshman forward Eli Dent also scored in the match for the Gamecocks. Shaw, who entered the game after the Tigers made it 17-0 on a third-quarter, 27-yard Andrew Baggett field goal, went 20-for-29 for 201 yards and three TDs. Junior wide receiver Bruce Ellington caught a career-high 10 passes for 136 yards, while sophomore running back Mike Davis tallied 150 all-purpose yards, including catching 10 passes for 99 yards. COLUMBIA, S.C. – With freshman forward Eli Dent’s unassisted goal in the 92nd minute, South Carolina upset No. 25 New Mexico to give head coach Mark Berson his 450th win at the helm of the Gamecocks. COLUMBIA, S.C. - South Carolina senior Johnna Letchworth won the AQHA Amateur Western Horsemanship championship on Tuesday at the 47th All American Quarter Horse Congress, held at the Ohio Expo Center in Columbus, Ohio. Letchworth finished first out of 96 competitors. OXFORD, Miss. 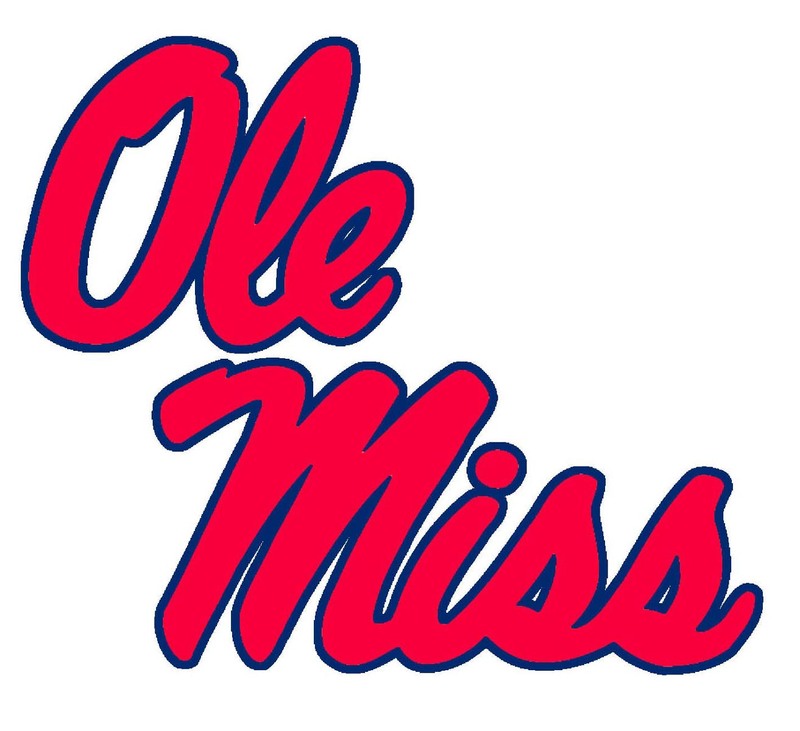 – After strong first half from South Carolina (12-2-2, 5-2-1), Ole Miss (12-3-2, 5-2-1) equalized in the second half as the two sides battled to a 1-1 double overtime draw this afternoon at Ole Miss Soccer Stadium. The Gamecocks held a 14-9 shot advantage in the game, holding a 7-4 edge in shots on goal. COLUMBIA, S.C. — The South Carolina volleyball team put together its most complete performance of the season to defeat Texas A&M in four sets by the scores of 25-23, 25-20, 20-25 and 25-23 in front of a raucous crowd of 1,430 at the Volleyball Competition Facility. COLUMBIA, S.C – South Carolina continued workouts at the Bluff Road practice fields Thursday afternoon in preparation for Saturday’s contest at UCF. BLYTHEWOOD, S.C. - No. 3 South Carolina opened the college equestrian season in dominating fashion, as the Gamecocks defeated fifth-ranked Kansas State, 15-5, at One Wood Farm. COLUMBIA, S.C. - The third-ranked South Carolina equestrian team will begin its 18th season on Friday, when the defending SEC champion Gamecocks host No. 5 Kansas State at One Wood Farm in Blythewood. COLUMBIA, S.C. - Behind senior quarterback Connor Shaw's 368 yards of total offense, South Carolina (2-1, 1-1 SEC) held on to defeat Vanderbilt 35-25 on Saturday night at Williams-Brice Stadium. Freshman Ive Burnett scores first career goal. Conway, S.C. – South Carolina (2-2-0) fell to Coastal Carolina (2-2-0) in non-conference action at CCU Soccer Field. Freshman defender Ive Burnett netted his first career goal early in the match to score for the Gamecocks. COLUMBIA, S.C. – The sixth-ranked South Carolina Gamecocks worked out at the Bluff Road practice fields. The Gamecocks (1-0, 0-0 SEC) are wrapping up their preparations for Saturday’s SEC Eastern Division showdown with the No. 11/12 Georgia Bulldogs (0-1, 0-0 SEC). COLUMBIA, S.C. - Quick offensive strikes from Connor Shaw and Mike Davis helped No. 6/7 South Carolina (1-0) dispatch of North Carolina (0-1) 27-10 in the college football season opener at Williams-Brice Stadium. COLUMBIA, S.C. – The University of South Carolina football team practiced for about two hours on Wednesday morning at the Bluff Road practice fields. The season is just over two weeks from commencing, as the Gamecocks will host North Carolina in the season lidlifter on Thursday, August 29. Game time is set for 6 p.m. ET and the contest will be televised nationally on ESPN. COLUMBIA, S.C. – The University of South Carolina football squad went inside Williams-Brice Stadium on a warm Saturday afternoon and conducted its first scrimmage of the preseason camp. Columbia, S.C. – South Carolina placed four players on the 2013 Preseason All-SEC squads selected by the media attending this year’s SEC Media Days, it was announced Thursday morning. South Carolina junior defensive end Jadeveon Clowney was a first-team selection as was Bruce Ellington, who earned first-team honors as an all-purpose specialist. Tight end Rory Anderson received second-team accolades with guard A.J. Cann a third-team pick. CHAPEL HILL, N.C. – Skye Bolt’s two-out RBI single scored Parks Jordan with the winning run in the bottom of the ninth inning, as North Carolina outlasted South Carolina, 6-5, in game one of the best-of-3 Super Regional Saturday afternoon at Boshamer Stadium. COLUMBIA, S.C. — South Carolina starting pitcher Jordan Montgomery tallied a career-high 11 strikeouts, and the Gamecocks collected 19 hits en route to a 19-3 victory over Liberty in game four of the NCAA Columbia Regional on Saturday night at Carolina Stadium. Hoover, Ala. – For the second consecutive day, 12th ranked South Carolina rallied from three runs down, however top ranked Vanderbilt loaded the bases in the 10th inning and with one out a RBI base hit from Conrad Gregor lifted the Commodores to a 4-3 win over the Gamecocks in an elimination game on Thursday afternoon at Hoover Metropolitan Stadium. Columbia, S.C. – Eight of nine position starters for 12th ranked South Carolina had at least one hit and freshman left-hander Jack Wynkoop worked five-plus innings to earn his seventh win of the season as the Gamecocks defeated Georgia 8-3 to sweep a three-game SEC series at Carolina Stadium on Mother’s Day. South Carolina is now 37-14 and 16-10 in the SEC with Georgia 18-31 and 5-19 in league play. Baton Rouge, La. – Freshman left-hander Jack Wynkoop hurled seven scoreless innings and combined with Adam Westmoreland and Tyler Webb for a six-hit shutout as 10th ranked South Carolina defeated second ranked LSU 4-0 on Sunday afternoon to win the rubber game of a three-game SEC series at Alex Box Stadium. The Gamecocks improve to 33-12 and 13-8 in the SEC with LSU now 39-6 and 16-5 in league play. ST. SIMONS ISLAND, Ga. — The South Carolina men’s golf team made a stellar run at the program’s first SEC title on Sunday but it came up just short, finishing runner-up by two strokes to second-ranked Alabama at the 2013 SEC Championship with a total of 850 (+10) at Sea Island Golf Club. NASHVILLE, Tenn. – South Carolina (14-17, 4-14 SEC) dropped their regular season finale to Vanderbilt (14-16, 8-10 SEC) 74-64 at Memorial Gymnasium on Saturday afternoon. For the second game in a row, junior guard Brenton Williams led South Carolina offensively, scoring 17 points. COLUMBIA, S.C. - Fresh off a no-hitter in game one of a doubleheader, fifth ranked South Carolina stormed ahead in the nightcap with six runs in the first three innings on the way to a 6-4 victory over Albany to sweep a doubleheader and the series vs. the Great Danes. Carolina is now 5-1 on the year while the loss drops Albany to 0-5 for the season. ANN ARBOR, Mich. — The 16th-ranked Michigan Wolverines (2-0) handed the No. 31 South Carolina women’s tennis team its first loss of the 2013 season Sunday in Ann Arbor, Mich., to drop the Gamecocks’ record to 3-1. Michigan advanced to the ITA National Team Indoor Championship with the second-round win in the ITA Kick-Off Weekend. GAINESVILLE, Fla. - No. 19/18 South Carolina survived a late surge by Florida to claim a 52-44 win over the Gators Sunday afternoon at the Stephen C. O’Connell Center. The Gamecocks (16-3, 4-2 SEC) captured the road victory behind 59 rebounds, the most during head coach Dawn Staley’s tenure, and a defensive effort that held Florida to just 17 field goals. COLUMBIA, S.C. - No. 18/16 South Carolina dropped a hard-fought 42-40 decision to No. 13/12 Georgia at Stegeman Coliseum Sunday afternoon as both teams struggled to shoot the ball against active, aggressive defensive efforts. TAMPA, Fla. -- Dylan Thompson's 32-yard touchdown pass to Bruce Ellington with 11 seconds remaining lifted South Carolina to a 33-28 victory over Michigan to win the 2013 Outback Bowl. South Carolina finishes the season with an 11-2 record and matches last year's win total and school record. Head coach Steve Spurrier won his third bowl at South Carolina as well to set a school record by a Gamecock coach. COLUMBIA, S.C. – The University of South Carolina football team was slated to practice twice on Thursday as they continued preparations for their January 1 date in the Outback Bowl with the Michigan Wolverines (8-4). COLUMBIA, S.C. - South Carolina (5-3) fell to intrastate rival Clemson (5-2) 64-55 in non-conference action at Colonial Life Arena on Sunday afternoon. Junior guard Brenton Williams led the Gamecocks with 16 points. PUERTO VALLARTA, Mexico - South Carolina posted a 74-67 victory over Missouri State in the third round of the Hoops For Hope Classic in Puerto Vallarta, Mexico, on Saturday in non-conference action. In his first contest back after missing three games due to a concussion, freshman forward Michael Carrera hit a 3 as time expired in regulation to send the contest into overtime. TUSCALOOSA, Ala. – A career outing from junior outside hitter Juliette Thévenin propelled South Carolina (17-13, 5-13 SEC) to a five-set victory at Alabama, taking the match 25-20, 25-12, 17-25, 20-25, 15-7 on Friday night at Foster Auditorium. COLUMBIA, S.C. — South Carolina amassed 383 yards of offense and forced three turnovers en route to a dominant 38-20 win over Arkansas. With the victory, the Gamecocks improve to 8-2 overall and 6-2 in the SEC. COLUMBIA, S.C. — No. 17/16 South Carolina came up with a pair of crucial defensive plays down the stretch to hold off Tennessee for a 38-35 victory on Saturday afternoon at Williams-Brice Stadium. GAINESVILLE, Fla. — No. 9/8 South Carolina was unable to overcome three costly first-half turnovers as it fell to No. 3/4 Florida, 44-11, on Saturday afternoon at Ben Hill Griffin Stadium. BATON ROUGE, La. — Third-ranked South Carolina was unable to overcome a late nine-point deficit at LSU on Saturday night, as the No. 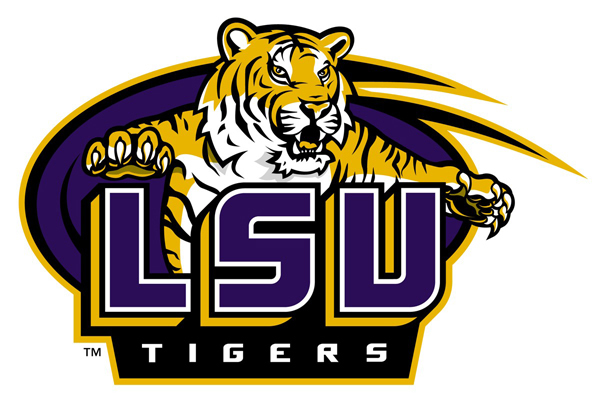 9/8 Tigers held on to claim a 23-21 victory over the Gamecocks at Tiger Stadium. COLUMBIA, S.C. - The South Carolina men's soccer team (4-5-2, 1-2-1 C-USA) earned a 2-1 victory over visiting UCF (4-4-2, 1-1-0 C-USA) in Conference USA action at Stone Stadium on Sunday afternoon. Redshirt-sophomore midfielder Hunter Wyer and freshman midfielder Ryan Arambula both scored the first goal of their career for Carolina in the victory. COLUMBIA, S.C. — Sixth-ranked South Carolina put together one of its most complete efforts of the season on Saturday night against No. 5 Georgia en route to a 35-7 victory in front of a record crowd of 85,199 at Williams-Brice Stadium. LEXINGTON, Ky. -- Sixth ranked South Carolina erased a 10-point halftime deficit and scored four touchdowns in the second half on the way to a 38-17 victory over Kentucky on Saturday night at Commonwealth Stadium. The Gamecocks are 5-0 on the year and 3-0 in the SEC while the loss drops Kentucky to 1-4 overall and 0-2 in the league. COLUMBIA, S.C. — Junior quarterback Connor Shaw threw for 249 yards and two touchdowns and completed a school-record 20 consecutive passes to finish the game as he led No. 7/8 South Carolina to a 31-10 victory over Missouri on Saturday at Williams-Brice Stadium. COLUMBIA, S.C. — No. 8/9 South Carolina amassed 501 yards of total offense en route to a 49-6 victory over UAB on Saturday night at Williams-Brice Stadium, giving head coach Steve Spurrier his 200th career victory as a collegiate head coach. NASHVILLE, Tenn. — Junior running back Marcus Lattimore rushed for 110 yards and two touchdowns to lead ninth-ranked South Carolina to a 17-13 victory over Vanderbilt on Thursday night in the season opener for both teams at Vanderbilt Stadium. COLUMBIA, S.C. – For the fifth time in as many years, South Carolina led the way on the Southeastern Conference First-Year Academic Honor Roll. A total of 97 first-year student-athletes achieved a minimum 3.00 grade point average for 2011-12. The list includes 608 selections from across the league’s 12 schools for the 2011-12 academic year. EUGENE, Ore. – Three former Gamecocks advanced in the intermediate hurdles and two advanced in the 200-meter dash Thursday night as competition at the US Olympic Trials continued in front of a record crowd of 22,602 after a three-day rest period at Hayward Field in Tracktown USA. The Arizona Wildcats scored three times in the top of the ninth inning to defeat the South Carolina Gamecocks, 4-1 Monday night in game two of the best-of-3 College World Series Championship Series at TD Ameritrade Park in Omaha. The hard-fought win in front of an announced attendance of 23,872 gave Arizona a sweep of the championship series and ended South Carolina’s hopes of a third-straight title. OMAHA, NE – The South Carolina Gamecocks rallied from an early two-run deficit to defeat the Arkansas Razorbacks, 3-2 at the College World Series in front of an announced crowd of 22,184 at TD Ameritrade Park Friday night. COLUMBIA, S.C. — Junior LB Dantzler blasted a walk-off single off the right-field wall in the bottom of the 12th inning, scoring freshman Joey Pankake to lift South Carolina to a thrilling 5-4 victory over rival Clemson on Saturday in the 2012 NCAA Columbia Regional at Carolina Stadium. JACKSONVILLE, Fla. – South Carolina earned four final bids to the NCAA Outdoor Championships on the final day of competition at the East Preliminary held at Hodges Stadium on the campus of the University of North Florida. Pole vaulter Marvin Reitze advanced in the men’s pole vault, and the Gamecocks also advanced the men’s 4x400-meter relay in addition to both women’s relays to give South Carolina a total of nine qualifying events to Des Moines. COLUMBIA, S.C. – Declarations for the NCAA East Preliminary Track and Field Championships have been announced with South Carolina qualifying 26 entries into the meet that will be held May 24-26 at Hodges Stadium on the campus of the University of North Florida in Jacksonville, Fla.
COLUMBIA, S.C. -- The National Football Foundation & College Hall of Fame (NFF) announced today the members of the 2012 NFF Hampshire Honor Society, which is comprised of college football players from all divisions of play who each maintained a cumulative 3.2 GPA or better throughout their college career. COLUMBIA, S.C. – Another overcapacity crowd of 921 fans packed into Beckham Field for the final home game of 2012, trying to cheer South Carolina (23-29, 3-22 SEC) to victory on Senior Day, but Auburn (31-19, 10-15 SEC) spoiled things with a 4-1 win. COLUMBIA, S.C.– The University of South Carolina football program’s participation in the Wounded Warrior Project (WWP) helped net the organization approximately $60,000 from the 2011 auction items, it was announced today. 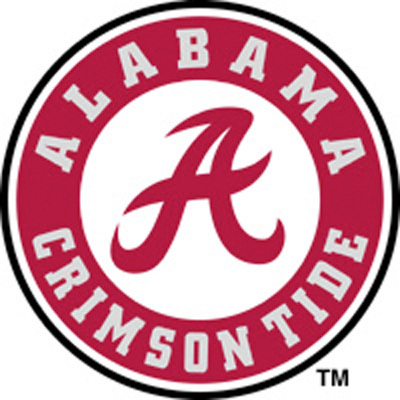 TUSCALOOSA, Ala. – A hard-fought contest by both teams, No. 2/2 Alabama (39-2, 16-2 SEC) came through in the end to take a 7-5 win over South Carolina (23-22, 3-15 SEC) on Saturday afternoon in front of a record-high crowd at Rhoads Stadium of 3,940 fans. Columbia, S.C. – Ninth ranked South Carolina raced out to a 5-0 lead with all five runs coming with two outs and freshman left-hander Jordan Montgomery allowed just one run in 6.1 innings of work as the Gamecocks held on to defeat Mississippi State 5-3 on Saturday afternoon in front of a sellout crowd of 8,242 fans at Carolina Stadium. Nashville, Tenn – Christian Walker’s two-out two-run homer in the top of the 13th inning helped lift 10th ranked South Carolina to a 6-4 victory over Vanderbilt on Sunday afternoon to clinch the weekend series for the Gamecocks. COLUMBIA, S.C. – Sixth ranked South Carolina scored seven runs in the seventh and eighth innings on the way to a 9-3 victory over Florida on Thursday night in the series opener at Carolina Stadium in front of a sellout crowd of 8,242 fans. Columbia, S.C. – Mac Doyle hit two home runs including a two-run homer in the eighth inning that tied the game and Konstantine Diamaduros had a RBI single in the 11th inning as Wofford defeated sixth ranked South Carolina 5-4 on Wednesday night at Carolina Stadium. 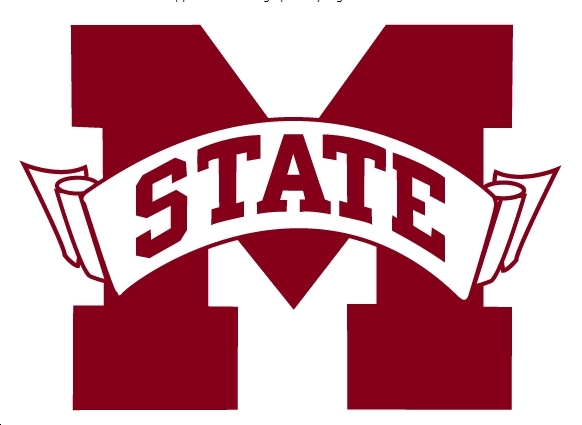 COLUMBIA, S.C. – The Southeastern Conference has expanded the women’s soccer league slate to 13 games with the additions of Missouri (Eastern Division) and Texas A&M (Western Division) with Wednesday's announcement of the 2012 conference schedule. WEST LAFAYETTE Ind. – No. 25 South Carolina scrapped its way to the NCAA Tournament Sweet 16 with a 72-61 win at No. 13/15 Purdue Monday night. It is the Gamecocks’ third Sweet 16 appearance with the last coming in 2002, when they reached the Elite Eight. South Carolina continued the 2012 season with non-conference wins vs. Charleston Southern and Appalachian State. The Gamecocks were swept in a weekend series at Kentucky in the first week of conference play. South Carolina is 15-4 on the year including a 14-0 record at Carolina Stadium. COLUMBIA, S.C. – South Carolina (18-7, 2-1 SEC) came from behind, led by two homers from senior third baseman Evan Childs, to capture an 8-7 win over Arkansas (17-6, 1-4 SEC) to take the series on Sunday afternoon in front of 514 fans at Beckham Field. MIAMI, Fla. -- South Carolina moved to 6-3 on the season, dropping a 7-6 decision to Jacksonville (4-6) before defeating Villanova 15-3 in five innings. Senior Evan Childs had a homer in both games, while senior Lauren Lackey tripled in both. Four unearned runs gave the Dolphins the win in the first game. Senior Kaitlin Westfall went 3-for-4 with two doubles and two RBI in the Villanova win. TUSCALOOSA, Ala. – No. 25 South Carolina collected its 20th win of the season with a 69-55 decision over Alabama Sunday afternoon at Foster Auditorium. The Gamecocks (20-7, 9-5 SEC) took a 12-point lead into the locker room at halftime and survived a sloppy second half for both teams. La’Keisha Sutton led the way with 13 points, all in the second half, and a career-high tying seven rebounds. COLUMBIA, S.C. — The South Carolina swimming and diving teams are set to begin competition at the SEC Championships on Wednesday at the Allan Jones Aquatic Center at the University of Tennessee. NEW YORK CITY – South Carolina senior Kierre Beckles set the example for Curtis Frye’s youth-laden team Friday at the New Balance Collegiate in being the first Gamecock to qualify and place in a championship final at the first premier meet of the indoor season. NASHVILLE – South Carolina needed extra time but held off a charging No. 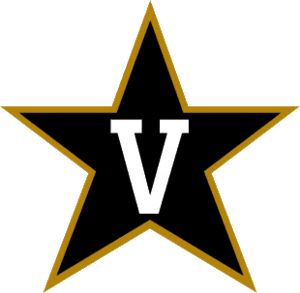 25/22 Vanderbilt team to score a 65-60 victory Sunday afternoon at Memorial Gymnasium. The Gamecocks (15-5, 4-3 SEC) snapped a three-game losing streak with what had previously delivered a seven-game win streak – stingy, disciplined defense, aggressive offense and gutty plays when they counted most. Senior La’Keisha Sutton finished with 20 points, including a career-high four 3-pointers, and five of the team’s nine points in overtime. COLUMBIA, S.C. – No. 24 South Carolina dropped a 66-58 decision to No. 9/8 Kentucky Sunday afternoon in SEC women’s basketball action at Colonial Life Arena. The Gamecocks (14-4, 3-2 SEC) out-rebounded the Wildcats (16-2, 5-0 SEC) on the afternoon but saw Kentucky’s 11 second-half offensive rebounds help them to the comeback victory. COLUMBIA, S.C. – University of South Carolina head football coach Steve Spurrier has tabbed Kirk Botkin as the team’s linebackers coach, it was announced today. COLUMBIA, S.C. – University of South Carolina head football coach Steve Spurrier has tabbed Joe Robinson as the team’s special teams coordinator and tight ends coach..
COLUMBIA, S.C. — After going through a grueling winter workout schedule, the South Carolina swimming and diving teams are set to open the 2012 portion of the schedule on Saturday at home in a meet with Duke and Queens University of Charlotte. COLUMBIA, S.C. – South Carolina men’s tennis kicks off its spring campaign with a trip to the SEC Indoor Championships in Lexington, Ky. The tournament begins on Fri., Jan. 13, with six other teams joining the Gamecocks at the annual event – Alabama, Florida, Georgia, Kentucky, Ole Miss and Vanderbilt. South Carolina has seven singles entries in the 64-player draw, and four doubles tandems will compete in the 32-team bracket. COLUMBIA, S.C. – The University of South Carolina football team reached another benchmark in a long-line of “firsts” under head coach Steve Spurrier. The 11-2 Gamecocks finished the season ranked among the nation’s Top-10 teams for the first time in school history. COLUMBIA, S.C. – University of South Carolina women’s basketball is ranked No. 24 in the nation this week in the Associated Press poll. It is the first national ranking for the Gamecocks since March 17, 2003. The Gamecocks are 14-2 on the season, including a 3-0 start in SEC play, making it the best start to a season in nearly a decade. ORLANDO, Fla. -- No. 10/9 South Carolina wrapped up one of the most successful seasons in school history on Monday afternoon with a 30-13 victory over No. 21/20 Nebraska in the Capital One Bowl in Orlando, Fla.
With the win, the Gamecocks finish the season at 11-2, becoming the first team in school history to reach 11 wins. COLUMBIA, S.C. – South Carolina freshman goalkeeper Sabrina D’Angelo has been named a semifinalist for three end of the year awards by All White Kit, a premier women’s soccer blog that covers collegiate and professional soccer in the United States and overseas. Quarterbacks coach G.A. Mangus has been pleased with the practices of sophomore signal caller Connor Shaw. “He had a good one today,” said Mangus. “He threw it around very, very well. Connor does all that stuff. You don’t have to worry about a bunch of stuff, he’s going to be ready to go. He’s a focused kid." PHILADELPHIA – Junior guard Ieasia Walker hit both ends of her 1-and-1 in the final seven seconds to help South Carolina hold onto a 62-58 victory over Drexel in women’s basketball action Wednesday night at John. A. Daskalakis Athletic Center. LITCHFIELD PARK, Ariz. — South Carolina sophomore Blaine Woodruff carded an opening-round 76 (+5) on Wednesday on the Gold Course at Wigwam Golf Club at the inaugural Patriot All-America Invitational. CELEBRATION, FLA. – The University of South Carolina football team worked out at Celebration High School in Celebration on Wednesday. It was the squad’s first workout in Florida as they prepare for Monday’s Capital One Bowl against the Nebraska Cornhuskers. 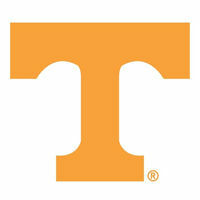 COLUMBIA, S.C. – The Southeastern Conference has announced its 14-team conference game schedule for the 2012 season. In conjunction with that announcement, The University of South Carolina has released its complete 12-game 2012 schedule. ORLANDO, FLA. – The University of South Carolina football team arrived in Orlando Tuesday afternoon, as they ready for Monday’s Capital One Bowl against the Nebraska Cornhuskers. The Gamecocks will enter the bowl game with a 10-2 record, while the Huskers, out of the Big Ten Conference, are 9-3. COLUMBIA, S.C. - South Carolina equestrian coach Boo Major has announced the signing of Savanna Southard (Moncks Corner, S.C./Berkeley) to a national letter of intent to join the Gamecocks for the 2012-2013 season. Smith will be competing with South Carolina's Western team. COLUMBIA, S.C. - The University of South Carolina football team worked out twice on Thursday at the Bluff Road practice fields. The squad continues its preparations for the 2012 Capital One Bowl, which will match the 10-2 Gamecocks against the 9-3 Nebraska Cornhuskers on Monday, January 2 in Orlando, Fla.
COLUMBIA, S.C. – South Carolina used efficient offense, stifling defense and strong rebounding to upend No. 18/16 North Carolina 79-48 in the Carolina’s Challenge Sunday afternoon at the Myrtle Beach Convention Center. The Gamecocks (9-2) exploded out of the gate and never looked back, executing the game plan to perfection from the opening tip. COLUMBIA, S.C. - The University of South Carolina football team returned to the Bluff Road practice fields Sunday afternoon. It was the squad's second practice session in preparation for the 2012 Capital One Bowl, which will pit the 10-2 Gamecocks against the 9-3 Nebraska Cornhuskers on Monday, January 2 in Orlando, Fla.
COLUMBIA, S.C. – Senior guard Markeshia Grant scored 14 of her career-high 22 points in the first eight minutes of the game, setting the tone for a 72-33 South Carolina win over Furman (5-3) in women’s basketball action at Colonial Life Arena . ORLANDO, FLA. -- On behalf of its Selection Committee, Florida Citrus Sports’ Chairman Michel Champagne and CEO Steve Hogan announced today that the South Carolina Gamecocks and Nebraska Cornhuskers have been selected to play in the 2012 Capital One Bowl. The New Year’s classic will kick off at 1:00 p.m. on January 2 from Florida Citrus Bowl Stadium in Orlando and will be televised nationally by ESPN. The South Carolina men's basketball team (2-4) will host Providence (5-2) in the Big East/SEC Challenge on Thursday at Colonial Life Arena. Game time for the contest is set for 7 p.m., with the event to be televised on ESPNU with Dari Nowkhah and Dino Gaudio on the call. COLUMBIA, S.C. – South Carolina locked down defensively, especially in the second half, en route to a 52-24 win over Presbyterian in women’s basketball action Sunday afternoon at Colonial Life Arena. The Gamecocks (5-1) allowed a school record-tying low points, including a record 13 in the second half, while the bench sparked an offensive surge in the second half. COLUMBIA, S.C. — Sophomore quarterback Connor Shaw rushed for a career-high 107 yards and a touchdown and threw for three scores to lead No. 14/13 South Carolina to a 34-13 victory over No. 18/17 Clemson on Saturday night at Williams-Brice Stadium to close out the regular season. COLUMBIA, S.C. – South Carolina ramped up the defense in the second half, which sparked a sluggish offense, as the Gamecocks topped College of Charleston 59-40 Wednesday night in women’s basketball action at Colonial Life Arena. COLUMBIA, S.C. – South Carolina head coach Curtis Frye has released a 2012 track & field schedule that includes four home meets – two indoor and two outdoor – to be held at the USC Fieldhouse and the Weems Baskin Track. The 2012 season marks the 10th anniversary of the women’s outdoor track and field team that won the first NCAA team title in the history of South Carolina athletics. COLUMBIA, S.C. – The University of South Carolina football squad worked out Tuesday afternoon at the Bluff Road practice fields. The 9-2 Gamecocks are preparing for their regular season finale on Saturday against their in-state rivals, the 9-2 Clemson Tigers. COLUMBIA, S.C. — South Carolina senior Courtney Forcucci and junior Rylan Ridenour have been named the SEC Divers of the Week, the league announced Tuesday. Columbia, S.C. – South Carolina associate head baseball coach Chad Holbrook has been named the 2011 American Baseball Coaches Association/Baseball America Assistant Coach of the Year. Now in his fourth season as associate head coach and recruiting coordinator for the baseball program, Holbrook serves as hitting instructor, oversees the Gamecock offense, including base running and the short game, and is the third base coach. The South Carolina men's basketball team will host Mississippi Valley State on Tuesday, continuing play in the Continental Tire Las Vegas Invitational. COLUMBIA, S.C. – Behind a relentless defensive effort and big offensive days from senior middle blocker Teresa Stenlund and redshirt freshman outside hitter Cara Howley, South Carolina (14-15, 5-14 SEC) downed Georgia (11-18, 7-12 SEC) in four sets, 15-25, 25-22, 26-24, 25-15, on Sunday afternoon at the Volleyball Competition Facility. 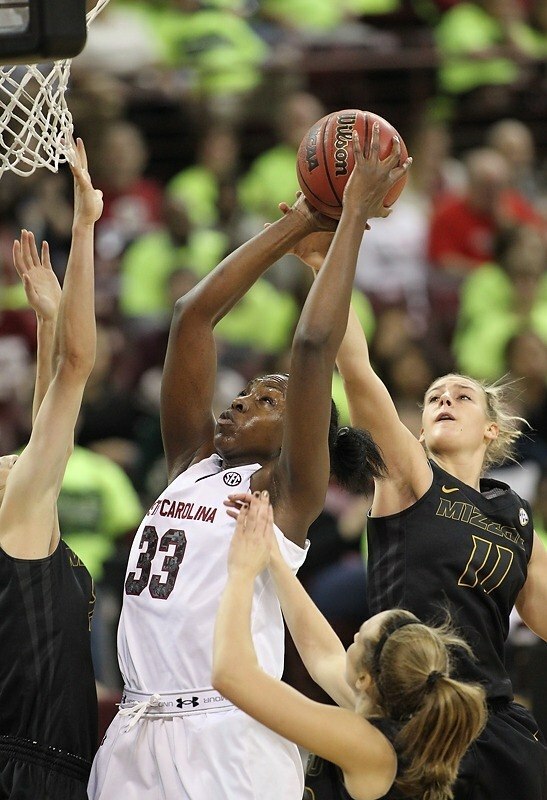 COLUMBIA, S.C. – Despite 25 offensive rebounds that helped South Carolina to 34 more shots, No. 11/12 Penn State escaped Colonial Life Arena with a 55-50 victory in women’s basketball action Sunday afternoon. COLUMBIA, S.C. — Sophomore quarterback Connor Shaw completed 16-of-18 passes for 217 yards and three touchdowns and added a career-high 90 yards and a score on the ground to lead No. 14 South Carolina to a 41-20 victory over The Citadel on Saturday afternoon at Williams-Brice Stadium. CHAPEL HILL, N.C. — The South Carolina swimming and diving teams had one of their best efforts of the season on day two at the Nike Cup Invitational on Friday at Koury Natatorium. The Gamecocks posted 37 times in the preliminaries that qualified for the finals, achieved four NCAA ‘B’ cuts and had 23 personal bests. CLEMSON, S.C. - South Carolina took advantage of ball movement on offense and aggressive defense to earn a 65-48 win over Clemson in women’s basketball action at Littlejohn Coliseum Thursday night. The Gamecocks got 19 points from senior Charenee Stephens and a stat-filling five-point, six-assist, seven-steal night from senior co-captain La’Keisha Sutton. South Carolina shot 50.0 percent in the first half for a commanding 17-point halftime lead. COLUMBIA, S.C. -- The 23rd-ranked South Carolina men's soccer team and Wake Forest played to a 1-1 tie through two overtimes before the Demon Deacons claimed the thrilling match, 4-3, on penalty kicks on Thursday night in the first round of the NCAA Tournament at Stone Stadium. CHAPEL HILL, N.C. — The South Carolina swimming and diving teams wrapped up their first day of competition at the Nike Cup Invitational on Thursday night at Koury Natatorium. The Gamecock men are in fourth place, while the Carolina women are third heading into Friday’s preliminaries. COLUMBIA, S.C. – No. 22 South Carolina travels to top-ranked Stanford in the second round of the NCAA Women’s Soccer Tournament, marking the third consecutive year that the Gamecocks have advanced to the Round of 32. The Gamecocks (16-6-0) and Cardinal (20-0-1) will kickoff Friday at 10 p.m. (ET) at Cagan Stadium in the first meeting between the two teams. The Gamecocks (8-2, 6-2 SEC) are ranked 14th in both national polls and come in 12th in this week's BCS Standings. They will be facing a Citadel Bulldog team that is playing its final game of the season. The Bulldogs are 4-6 overall and finished the 2011 season with a 2-5 in the Southern Conference under seventh-year head coach Kevin Higgins. COLUMBIA, S.C. – The University of South Carolina football squad returned to the Bluff Road practice fields Tuesday afternoon. It was the squad’s first practice session since its 17-12 win over Florida on Saturday. COLUMBIA, S.C. -- Sophomore quarterback Connor Shaw rushed for a career-high 88 yards and two touchdowns and completed 6-of-12 passes for 81 yards to lead No. 15 South Carolina to a 17-12 victory over Florida on Saturday afternoon at Williams-Brice Stadium. DALLAS, Texas - Four South Carolina men's soccer players garnered All-Conference USA honors on Tuesday, while Gamecock head coach Mark Berson was named the league's Coach of the Year. The awards were voted on by the league head coaches. The honors were announced a day before the 2011 C-USA Tournament kicks off in Tulsa, Okla., at the Hurricane Soccer and Track Complex. FAYETTEVILLE, Ark. — No. 10 South Carolina pulled to within two points of No. 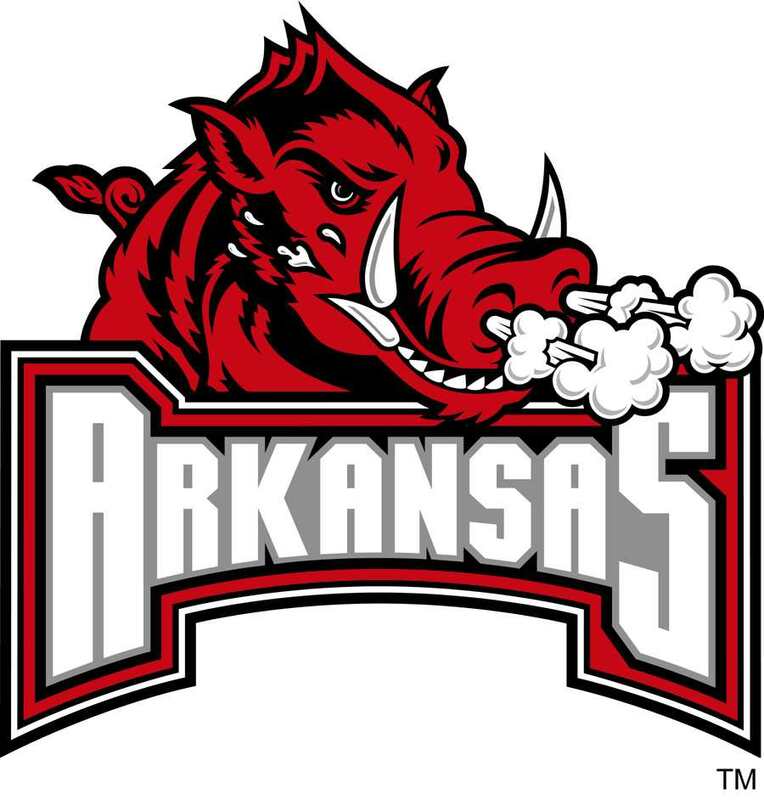 8 Arkansas early in the fourth quarter, but the Razorbacks responded with 14 unanswered points to claim a 44-28 victory on Saturday night at Donald W. Reynolds Razorback Stadium. With the loss, the Gamecocks fall to 7-2 on the season and 5-2 in the SEC. The loss also snaps Carolina’s six-game “true” road winning streak. COLUMBIA, S.C. – No. 19 South Carolina has earned the top seed in the league and will face eight-seed Alabama in the SEC Tournament quarterfinals Wednesday at the Orange Beach Sportsplex in Orange Beach, Ala. Kickoff is scheduled for 6 p.m. (ET). Carolina won the regular season meeting between the two teams by a 4-1 margin. COLUMBIA, S.C.– The University of South Carolina football squad returned to the Bluff Road practice fields. The Gamecocks (7-1, 5-1 SEC) are ranked ninth in this week’s BCS Standings. They are preparing for Saturday night’s top-10 matchup at No. 7 Arkansas (7-1, 3-1 SEC). Game time is set for 7:15 p.m. ET in Fayetteville’s Reynolds Stadium. The game will be televised nationally by ESPN. COLUMBIA, S.C. -- The South Carolina Gamecocks are ranked 10th in both the Associated Press and USA TODAY/Coaches polls released today. They climbed four spots in both polls this week. Freshman running back Brandon Wilds rushed for career-high 137 yards. KNOXVILLE, Tenn. - South Carolina freshman tailback Brandon Wilds rushed for a career-high 137 yards on 28 carries in his first career start and the Gamecock defense limited Tennessee to just 186 total yards as the No. 13 Gamecocks defeated the Volunteers 14-3 on Saturday evening at Neyland Stadium. The Gamecocks (6-1, 4-1 SEC) are ranked 14th in both major polls entering the week and are ranked 13th in this week's BCS Standings. They are facing a Tennessee team that is 3-4 overall and 0-4 in league play. Game time is set for 7:15 p.m. on Saturday, Oct. 29, in Knoxville's Neyland Stadium. ESPN2 will carry the broadcast nationally with Mark Jones and Ed Cunningham in the booth and Jessica Mendoza working the sidelines. COLUMBIA, S.C. – South Carolina’s 3-1 victory over Arkansas, coupled with Florida’s 1-0 loss to LSU and Georgia’s 2-2 draw against Alabama, gives the Gamecocks at least a share of the 2011 SEC regular season title. The Gamecocks lead the league with an 8-2-0 record and 24 points, and Florida is second in the SEC with a 7-3-0 record and 21 points. The Gamecock and Gators play in Gainesville this Friday at 7 p.m. in a match that will be broadcast on FS Florida. BATON ROUGE, La. – South Carolina (13-5-0, 7-2-0 SEC) scored three goals off of set pieces and got a brace from freshman Ariane Lukens to defeat LSU 4-1 Thursday night in Baton Rouge and stay atop the SEC ladder with two matches remaining. STARKVILLE, Miss. -- Junior wide receiver Alshon Jeffery hauled in a 4-yard pass from sophomore quarterback Connor Shaw for the game-winning touchdown with 3:50 remaining to lift No. 15/13 South Carolina to a 14-12 comeback win over Mississippi State on Saturday afternoon at Scott Field. The Gamecocks trailed 10-7 with 9:50 left in the fourth quarter but they put together a 12-play, 79-yard scoring drive to take their first lead of the contest on Jeffery's touchdown reception. Jeffery outleaped two defenders to come down with the reception, which moved him into sole possession second place on the school's all-time list for touchdown receptions with 20, trailing only Sidney Rice's (2005-06) 23. COLUMBIA, S.C. – South Carolina scored at least three goals for the third consecutive game to knock off No. 22 Auburn 3-1 Sunday afternoon at Stone Stadium. Maria Petroni and Gabrielle Gilbert scored first half goals off corner kicks before Danielle Au iced the win in the 66th minute to leads the Gamecocks to their second victory against a ranked opponent this season. COLUMBIA, S.C. — Sophomore quarterback Connor Shaw threw for a career-high 311 yards and four touchdowns to lead No. 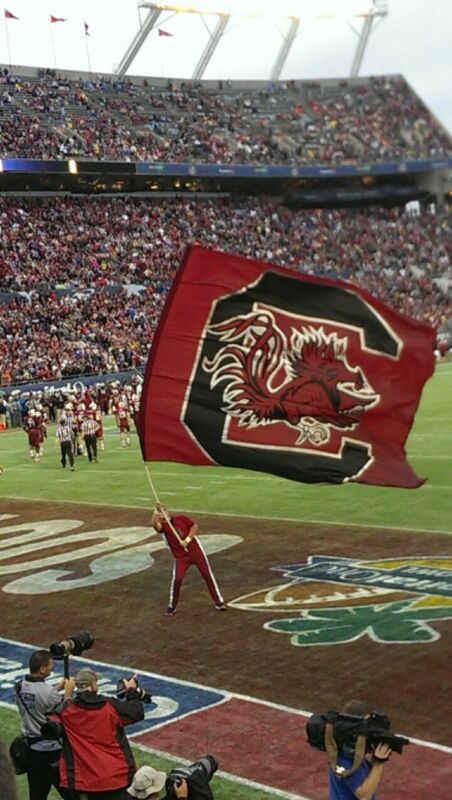 18/14 South Carolina to a convincing 54-3 victory over Kentucky on Saturday afternoon at Williams-Brice Stadium. Shaw completed 26-of-39 passes and added 42 yards rushing to help the Gamecocks (5-1, 3-1 SEC) amass 639 yards of total offense, their most since Oct. 20, 2001 against Vanderbilt (656). BIRMINGHAM, Ala. - The South Carolina men's soccer team (5-4-1, 3-0-0 Conference USA) earned a 1-0 win on the road at UAB (5-3-2, 0-1-0 Conference USA) on Tuesday night in Conference USA action from West Campus Field in Birmingham, Ala. The win, Carolina's fourth straight overall, is also the Gamecocks' third-consecutive win to start the C-USA season. It marks the best start to a conference season for the squad since the 2005 campaign, Carolina's first in the league. COLUMBIA, S.C. — Anya Morgina and Dijana Stojic from the South Carolina women’s tennis team will play in the qualifying draw of the ITA/Riviera All-American Championships in Pacific Palisades, Calif., starting Tuesday. The ITA/Riviera All-American Championships are the first of three ITA Grand Slam tournaments. The second is the USTA/ITA National Intercollegiate Indoor Championships in November and the third is the season-ending NCAA Singles Championship in May. COLUMBIA, S.C. - Auburn's Philip Lutzenkirchen hauled in a 9-yard touchdown pass fromBarrett Trotter with 1:38 left in the fourth quarter to lift the Tigers to a 16-13 victory over No. 10/9 South Carolina on Saturday at Williams-Brice Stadium. CHARLOTTE, N.C. —The South Carolina cross country team competed for the third straight week on Friday afternoon, running against 36 teams in the Charlotte Invitational (5K) Gold Race at McAlpine Park. The Gamecocks finished the day with 225 points to claim seventh place. “Auburn is putting up good numbers and they have a really good offense,” said Coach Johnson. It’s not the same team as last year but it doesn’t matter. It’s the same offense and they are having the same effectiveness. They are moving the football – (they are making) first downs, touchdowns and scoring points. " COLUMBIA, S.C. – South Carolina hosts SEC rivals Kentucky and Vanderbilt in the 2011 SEC home opening weekend with the Eastern Division teams looking to separate from a five-way tie after the start of conference play. Thirteen matches into the season, the Gamecocks are among the nation's top 50 in four stat categories. The highest ranking comes in digs, where the squad's 17.94 average ranks ninth. Offensively, South Carolina is 21st in assists (13.15), 26th in kills (14.06) and 41st in hitting (.250). The full stats breakdown for the Gamecocks come on page seven of the PDF version of the notes linked above. COLUMBIA, S.C. – The No. 10/9 South Carolina Gamecocks returned to the Bluff Road practice fields Monday night. It was the squad’s first practice since its 21-3 win over previously undefeated Vanderbilt last Saturday night. This week in Gamecock Country the South Carolina Football team continues with the third of four straight home games, taking on Auburn on Saturday, October 1st, at 3:30 p.m. The game is sold out and will air nationally on CBS. The Gamecocks will be wearing custom uniforms in honor of the Wounded Warrior Project’s “Believe in Heroes” campaign. COLUMBIA, S.C. (September 26, 2011) – University of South Carolina senior defensive end Melvin Ingram has been selected as the Southeastern Conference Defensive Player of the Week for his performance in Saturday’s 21-3 win over previously undefeated Vanderbilt. GREENVILLE, S.C. (Sept. 25, 2011) — Josefin Andersson and Dina Guzairova from the South Carolina women’s tennis team won their respective singles flights Sunday at the Furman Fall Classic in Greenville, S.C. Andersson and Guzairova both moved to 5-0 this fall after consecutive undefeated weekends to open the season. COLUMBIA, S.C. — No. 12/10 South Carolina used a dominant effort from its defense to defeat Vanderbilt, 21-3, on Saturday night at Williams-Brice Stadium. The Gamecocks held the Commodores to just 77 yards of offense (73 passing, four rushing), forced three turnovers and recorded six sacks in their best defensive performance of the season. Columbia, S.C. – South Carolina baseball has landed the top recruiting class in the country as announced by Collegiate Baseball on Tuesday afternoon. The Gamecock newcomers include seven players that have been drafted as well as several standouts from both the high school and junior college ranks. COLUMBIA, S.C. (September 19, 2011) – The University of South Carolina football team returned to the practice fields Monday night for the first time since Saturday’s 24-21 win over Navy. The Gamecocks (3-0, 1-0 SEC) are beginning preparations for their Saturday night SEC Eastern Division showdown with the Vanderbilt Commodores (3-0, 1-0 SEC). Game time is set for 7:05 p.m. at Williams-Brice Stadium, with ESPN2 televising the game nationwide. Mark Neely and Ray Bentley will have the call. Columbia, S.C. – 10th ranked South Carolina (2-0) continued preparation on Wednesday for Saturday’s game vs. Navy (2-0). Kickoff for the home opener on Saturday is set for 6 p.m. ET at Williams-Brice Stadium with the game televised live on ESPN2. ATHENS, Ga. -- Twelfth-ranked South Carolina gained an early advantage in the race to repeat as Southeastern Conference Eastern Division champions with a thrilling 45-42 victory over Georgia on Saturday at Sanford Stadium. The University of South Carolina football squad worked out Thursday afternoon at the Bluff Road practice fields as preparations continued for Saturday’s SEC Eastern Division showdown at Georgia. The 12th-ranked Gamecocks are 1-0 on the season, while Georgia enters the game 0-1. It’s the first time South Carolina has faced an unranked Georgia team since the 1997 season. COLUMBIA, S.C. (September 7, 2011) – The 12th-ranked University of South Carolina football squad (1-0, 0-0 SEC) practiced Wednesday afternoon in preparation for Saturday’s SEC showdown in Athens against the Georgia Bulldogs (0-1, 0-0 SEC). Game time is set for 4:30 p.m. ET at Sanford Stadium and the contest will be televised nationally on ESPN. COLUMBIA, S.C. – University of South Carolina senior offensive right tackle Rokevious Watkins has been selected as the Southeastern Conference’s Offensive Lineman of the Week, it was announced by the league office today. COLUMBIA, S.C. – South Carolina swept its way past UNC Asheville (3-4), 25-16, 25-14, 25-10, to claim the Gamecock Invitational title on Saturday night at the Volleyball Competition Facility. The Gamecocks move to 7-0 under first-year head coach Scott Swanson, just the fourth time South Carolina has been 7-0 in volleyball since entering the Southeastern Conference in 1991, joining the 1992, 1995 and 2009 teams with that record. - The season-opening victory extends South Carolina’s opening-game winning streak to 13 games. The Gamecocks last season-opening loss came in the 1999 season. - Saturday night’s win over East Carolina also improves head coach Steve Spurrier’s record to 22-1 all-time in season-opening games. - With the victory, head coach Steve Spurrier is now tied for second the all-time wins list at South Carolina with Jim Carlen at 45 victories. Rex Enright is the school record holder with 64 career wins. COLUMBIA, S.C. – The University of South Carolina football team began game week for the season opener indoors on Monday night, as a thunderstorm moved through the Columbia metropolitan area. The Gamecocks are preparing for Saturday’s season lidlifter in Charlotte against East Carolina. Game time is set for 7p.m. The Gamecocks moved to 3-0 in volleyball with a four-set win over Stony Brook (0-3) and a three-set sweep of Temple (1-1). South Carolina claimed the Temple Invitational title with its three wins. Sophomore outside hitter Juliette Thévenin earned tournament MVP and most valuable attacker honors after posting three double-doubles in the tourney. Junior setter Taylor Bruns tallied most valuable setter honors as well. TUCSON, Ariz. – South Carolina freshman Ali Whitney scored a screamer from over 30 yards out to propel the Gamecocks (2-1-0) to a 1-0 golden goal victory at Arizona (0-3-0) in double overtime Friday night. The match lasted three hours after the play was suspended for 45 minutes at halftime due to inclement weather near Mulcahy Stadium, ending at 1 a.m. ET. The quarterbacks had one of their more productive scrimmages in recent memory, as the three signal-callers who saw action combined to complete 19-of-25 passes for 310 yards with two touchdowns. Fifth-year senior quarterback Stephen Garcia hit on 9-of-13 attempts for 136 yards and a score. COLUMBIA, S.C. - The 15th ranked Gamecock men's soccer team posted a 1-1 tie with Elon in exhibition action at Stone Stadium on Saturday evening. After Elon held a 1-0 lead at the half, senior midfielder Stephen Morrissey scored for Carolina in the 54th minute on an assist from sophomore forward Bradlee Baladez to even the match in the second half. “The defense took charge today,” admitted head coach Steve Spurrier following the workout. “They shut out the offense. We put the ball on the 30 and the offense barely made a first down or two. In the goal line period, the defense got the best of the offense. The offense scored here and there, but overall, the defense had a much better day today. They made very few mistakes, tackled well. I was impressed the way the defense played." COLUMBIA, S.C. – The University of South Carolina football squad returned to the Bluff Road practice fields for a two-hour workout. COLUMBIA, S.C. – The University of South Carolina football squad held its first official scrimmage of the fall on Saturday afternoon at Williams-Brice Stadium. COLUMBIA, S.C. -- University of South Carolina junior defensive end Devin Taylor is one of 35 preseason candidates for the Ted Hendricks Defensive End of the Year Award, the Ted Hendricks Foundation announced today. Taylor, a 6-7, 260-pounder from Beaufort, S.C., is a preseason All-SEC pick after earning first-team All-SEC honors in 2010 when he recorded 13.0 tackles for loss including 7.5 sacks. He was also credited with 11 quarterback hurries and eight pass breakups. He recovered a pair of fumbles and returned an interception for a touchdown against Tennessee. COLUMBIA, S.C. – The University of South Carolina football squad worked out for about two hours again on Wednesday morning under sunny skies and warm and humid conditions at the Bluff Road practice fields. The squad practiced in full uniforms on Wednesday. COLUMBIA, S.C. – The University of South Carolina football squad went indoors for the first time this fall as rains covered the Columbia area during the evening hours. The squad put on shoulder pads for the first time in their third practice of fall camp. COLUMBIA, S.C. – University of South Carolina head women’s basketball coach Dawn Staley and assistant coach Nikki McCray are among the six inductees to the Women’s Basketball Hall of Fame Class of 2012 as announced by the organization at halftime of the WNBA All-Star game today. Additionally, Staley was voted one of the WNBA’s Top 15 players of all time, a list voted on by fans, select national and WNBA-market media as well as current players and coaches to honor the most influential players since the league’s inception in 1997. COLUMBIA, S.C. – For the first time since joining the Southeastern Conference in 1992, the South Carolina Gamecocks are the preseason favorite to win the Eastern Division, according to a poll of media members attending the SEC Media Days in Birmingham, it was announced today. COLUMBIA, S.C. – Allstate Insurance Company and the American Football Coaches Association (AFCA) has announced a record 132 nominees for the 2011 Allstate AFCA Good Works Team®. The award recognizes the selfless contributions to volunteerism and community service made by college football student-athletes across the nation. COLUMBIA, S.C. – The Southeastern Conference has announced a slate of 14 conference games that will be televised in the 2011 women’s soccer season as part of the SEC-ESPN television agreement, and the television schedule includes two games that will be played at Stone Stadium in Columbia, S.C.
COLUMBIA, S.C. – South Carolina women’s golf head coach Kalen Anderson today released her team’s 2011-12 schedule that has the Gamecocks playing in the Carolinas five times in its eight regular-season tournaments. The slate includes most of the same events as last season with the addition of the Darius Rucker Intercollegiate on Hilton Head Island, S.C., this season. The schedule tees off on Sept. 11 at the Cougar Classic, and the team is aiming for a third-straight trip to the NCAA Championship, which this season will be in Franklin, Tenn.
COLUMBIA, S.C. (July 5, 2011) -- The Maxwell Football Club today announced its watch lists for the 75th annual Maxwell Award and the 17th annual Bednarik Award. The University of South Carolina has three players listed on the Maxwell Award watch list, including quarterback Stephen Garcia, running back Marcus Lattimore and wide receiver Alshon Jeffery. Two Gamecocks – defensive end Devin Taylor and cornerback Stephon Gilmore – were named to the Bednarik Watch List. COLUMBIA, S.C. - The South Carolina equestrian team announced its 2011-2012 competition schedule on Sunday. The Gamecocks will have 13 regular season competitions on the schedule this year, six of which will take place at One Wood Farm in Blythewood. Columbia, S.C. – South Carolina head coach Ray Tanner has been named National Coach of The Year by "Collegiate Baseball" newspaper. One of the most respected coaches in college baseball, Tanner led the Gamecocks to their second consecutive national championship at the recent College World Series. This is the third time in Tanner’s career that he has earned National Coach of the Year honors as he also picked up the accolade in 2000 from Baseball America as well as in 2010 by Baseball America and Collegiate Baseball. Omaha, Neb - For the second straight game, the Gamecocks used a pair of throwing errors to score the winning run in extra innings, as No. 4 national seed South Carolina outlasted the No. 2 national seed Florida Gators, 2-1 in 11 innings, in the first game of the best-of-three College World Series Championship Series on Monday night in Omaha. Brady Thomas led off the bottom of the 13th with a solid single to center for the Gamecocks (53-14). Cody Winiarski, the fourth Cavalier pitcher of the evening, tried to nail pinch runner Adam Matthews at second base on Peter Mooney’s bunt attempt, but threw wildly and both runners were safe. Robert Beary then laid down a sacrifice bunt that Winiarski threw past the third base bag and bounced out of play, allowing Matthews to scamper home with the winning run. The win sends the defending national champion Gamecocks to the Championship round for the second straight year. EUGENE, Ore. – Five athletes with University of South Carolina ties advanced to their respective semifinals to open competition Thursday at the 2011 USA Outdoor Track and Field Championships held at Heyward Field in Track Town, USA. COLUMBIA, S.C. – University of South Carolina head men’s soccer coach Mark Berson announced on Wednesday his team’s schedule for the upcoming 2011 season. For the defending Conference USA Tournament champions, the slate features contests against four teams ranked in the final 2010 NSCAA Top 25 Poll and eight teams that advanced to the 2010 NCAA Tournament. Three of those teams advanced to the Round of 16 and one to the College Cup, while 12 of the 18 regular-season opponents for 2011 amassed double-digit win totals last season. The Gamecocks will host 11 home dates at Stone Stadium, including one exhibition contest this fall. HANAHAN, S.C. – South Carolina rising senior Katie Burnett got her summer season off to a great start as she captured medalist honors at the 100th Women’s Eastern Amateur Championship, which wrapped up Thursday at Yeamans Hall Club just outside Charleston. CCOLUMBIA, S.C. – South Carolina women's soccer coach Shelley Smith announced Saturday a 20-match 2011 schedule that includes the program’s first trip to the state of Arizona, five fixtures against teams that advanced to last season’s NCAA Tournament and a Sept. 9 rivalry game at Historic Riggs Field against Clemson. INDIANAPOLIS---Michael Roth, a junior at the University of South Carolina, Columbia, is the recipient of the Elite 88 award for the 2011 NCAA Division I Men’s Baseball Championship. The Elite 88, an award founded by the NCAA, recognizes the true essence of the student-athlete by honoring the individual who has reached the pinnacle of competition at the national championship level in his or her sport, while also achieving the highest academic standard among his or her peers. COLUMBIA, SC (WMBF) - South Carolina's starting point guard and leading scorer, Bruce Ellington, will be joining the Gamecock football team. According to multiple reports the freshman All-SEC guard has informed head basketball coach Darrin Horn of his intentions, and spoken with multiple coaches on the football staff. Gamecock sophomore right-hander Colby Holmes worked a career-high 5.1 innings to earn his first win of the year and was backed by an offense that featured a 3-for-3 day by Adrian Morales with a home run as well as a career-high four RBI by junior outfielder Jake Williams as South Carolina snapped a two-game losing streak with an 8-4 win over Wofford on Wednesday night at Carolina Stadium. COLUMBIA -- South Carolina will provide a postgame entertainment experience for its April 9 spring game, the school announced Tuesday. A first ever Fan Fest will take place a half-hour after the annual Garnet and Black Game, set to begin at 1 p.m. at Williams-Brice Stadium. "We really want to create an event that is welcoming to all Gamecock fans in conjunction with the spring game," Gamecock Club director Patrick McFarland said. "Interest in Gamecock football is at an all-time high and we want to connect with as many fans as possible to continue the momentum." Copyright 2009-2018 GOSECSPORTS.COM All rights reserved. An MM website for sports news and information.